Madam Butterfly is given new life in this epic adaptation of Puccini's 1904 opera, exploring love and loss in the Vietnam conflict. A tragedy of passion and beauty Miss Saigon is one of the most stunning theatrical spectacles of all time. 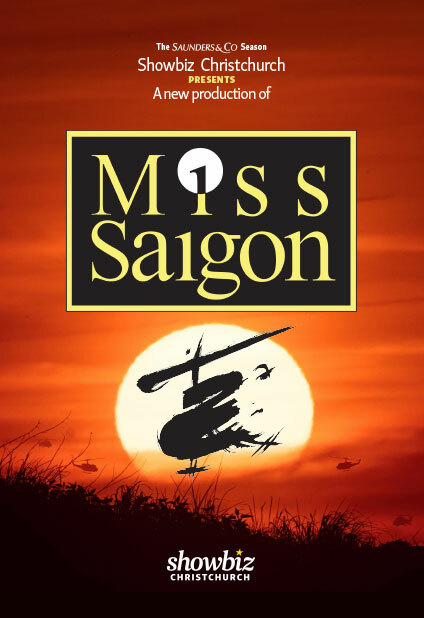 Nominated for an incredible number of Olivier, Tony and Drama Desk Awards, Miss Saigon is the second massively successful offering from the creators of Les Misérables. In the turmoil of the Vietnam War, Chris, an American soldier, and Kim, a Vietnamese girl, fall in love and marry but are distressingly separated when Saigon falls. As years pass, Chris, unable to contact Kim, remarries and attempts to move on with his life. Kim, however, gives birth to Chris’ son and waits faithfully for his return. Circumstances bring Chris back to Vietnam, and he learns the truth but with tragic consequences. Miss Saigon is an epic, daring sung-through pop musical that is universal in its emotional power. Additional material by: Richard Maltby Jr. Note: this production contains adult themes, smoke and flashing light effects. Suitable for age 13+. Matinées: 4pm Sunday 29 September & 6 October.